FPGA On-Chip Debugging, (OCD). DiaLite enables engineers to test and to debug their FPGA design at the prototype level. DiaLite Leading Edge (DiaLite LE) is an On-Chip instrumentation tool that sets a new way to monitor and debug complex designs for any type of FPGA. With DiaLite, you simply choose test IPs like triggers or logic analyzers that you seamlessly embed into your design. Once your usual flow is performed (Synthesis, Placing, Routing), you can run your design with its embedded instrumentation. DiaLite allows you to monitor your instruments, analyze logic signals and transactions, record logic events data and much more ! 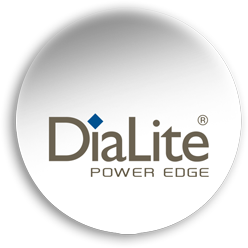 DiaLite™ Power Edge (DiaLite PE) provides an unrivaled environment and collection of debug IPs to verify and debug your FPGA based system designs. In addition to DiaLite Leading Edge features, DLI Power Edge provided a complete RTL debugging environment called HDL Fault Finder. This environment enables to insert watch points in the RTL code and to trigger signal values on silicon using breakpoints features. is an On-Chip instrumentation tool that sets a new way to monitor and debug complex designs for any type of FPGA. With DiaLite, you simply choose test IPs like triggers or logic analyzers that you seamlessly embed into your design. Once your usual flow is performed (Synthesis, Placing, Routing), you can run your design with its embedded instrumentation. DiaLite allows you to monitor your instruments, analyze logic signals and transactions, record logic events data and much more ! FPGA On-Chip Debugging, (OCD). DiaLite™ Platform (DiaLite PT) enables engineers to test and to debug their FPGA design at the prototype level. DiaLite™ Platform is the most complete and powerful tool available on the market to verify and debug your SoC or FPGA. In addition to Power Edge features, DLI Platform edition enable to verify the design implementation by reusing Assertions developed during the development process. AMBA BUS PROTOCOL CHECKER op. op. op. WHY DIALITE IS THE BEST CHOICE FOR FPGA DEBUGGING ?